By Ugandan journalist Mike Ssegawa, first published in Watchdog Uganda. Rice is cheap in Lukaya Town, Kalungu District in Uganda. And if you visit any shop on let’s say Monday morning, the commodity flies off the shelves in lightning speeds – because shoppers can afford more of it. Compare the price of Sh2,900 (US$0.80) a kilo in the town to Sh3,800 (US$1.05) elsewhere and you get the point. But how is this possible? Where do the shopkeepers here get their rice from? “This is not imported rice. 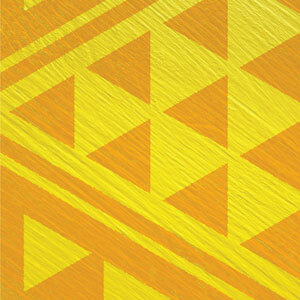 We get it from a nearby farm which grows and mills its own rice. The people love it not only because of the price but also quality. This one cooks better,” a shopkeeper Andrew Lugemwa, says with a smile. A decision to visit the said farm sees us welcomed by a huge poster reading at the entrance of Lukaya Natural Rice Farm. We find workers retiring from the paddy fields for a deserved lunch break. Though exhausted their faces have the satisfaction of one assured of their future. Could be because of their assured wages. 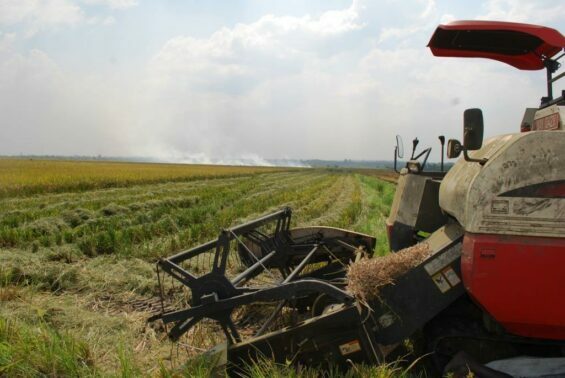 Owned by Zhong industries Ltd, a Chinese company, the farms sits on a leased 700-acre-land in the swampy Lwera stretch near Lake Victoria in Lukaya town council, Kalungu district, about 100 km south of Kampala city. A mother working with her baby to earn a living at Lukaya Natural Rice Farm. A tour round its expanse and the entire set up of the farm leads us to one conclusion: this kind of investment is the kind needed to turn around the fortunes of the Ugandan farmer and the rural folks. 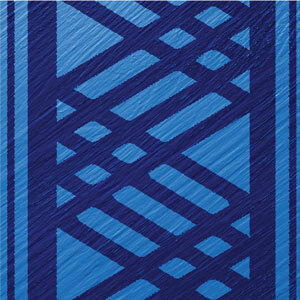 It has the capacity to boost the economy of the country too. Largely, the techniques used are not so complicated and can be easily learnt or even improvised by local farmers who wish to grow the “white gold” as Mr Victor Mpinga, a supervisor in the farm, calls it. According to Mr Mpinga, the farm employs more than 400 people, mainly youth, many of whom he said have embraced rice farming in their private farms. Mr Denis Lutabi, a worker in the farm, says he earns more than Sh10,000 (US$3) pay day, which is more than what many employees in the formal sector earn. The farm has created jobs for both skilled and unskilled labour. Besides the income, Mr Lutabi says he has greatly acquired knowledge from the farm which the father of two is hoping to apply in his farm at home. 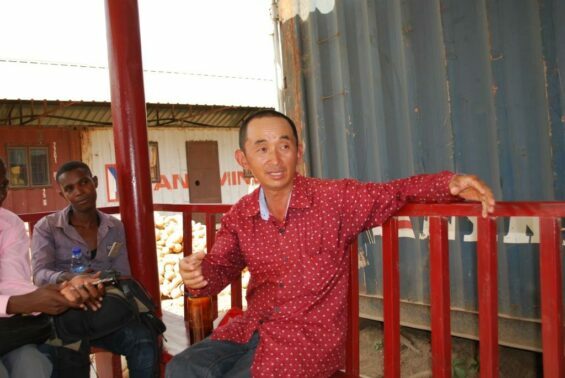 “At first when they (the Chinese) came to Lukaya we treated them with a lot of suspicion but once we saw the impact of what they were doing we embraced them and asked to work in their farm. Here we are and our mindset has since changed,” says Mr Lutabi. Ms Josephine Nabukeera, an out grower, told us that after working for some months on the farm she left to work on her own farm since she had seen what the “white gold” could do for her livelihood. “I planted a quarter of an acre to see whether the crop could thrive,” she says, adding that she later regretted not planting on her entire three acre piece of land. She had a bumper harvest. From her own maths, one acre can comfortably give 25 sacks (2,500kg) of milled rice. Many other out growers visit the farm regularly to get basic knowledge and practices on rice growing, which they go on to use in their small scale-plantations which range from one to five acres. Mr Paul Kiyemba the Kalungu production officer, notes that Zhong rice farm currently supports over 500 out growers besides employing youths who were hitherto fore idling in the trading centres and villages hence giving a solution to the problem of rural unemployment. “Many farmers got their first exposure at this farm and now are adopting rice growing. 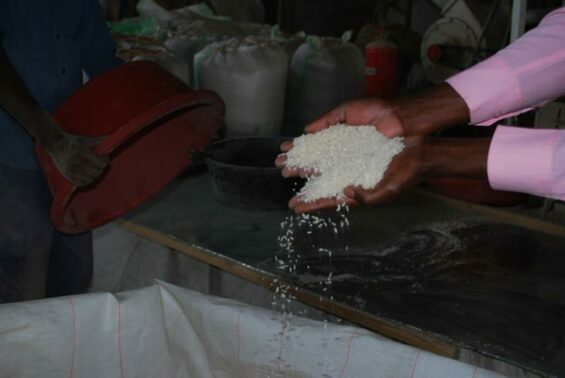 Rice growing has extended from Lukaya to Bukulula and Lwabenge sub counties and now Kalungu is cosmetically being brand as a rice producing district,” Mr Kiyemba said. He added that the district is also getting direct and indirect revenues from rice growing and believes that as many farmers move in rice production the revenue will also increase. Mr Li Gan Peter, one of the farm managers, says the farm is determined to support farmers in technology dissemination and capacity building in addition to quality seedlings and other inputs charging them after harvesting. Li Gan Peter, one of the farmer managers, says they are ready to support local farmers. “We give then seedlings, fertilizers and at times those who what to use our tractors take them. After harvesting we compute and subtract the cost of inputs and the rest of money is given to the farmer,” explains Mr Gan. He adds that they do so not only to create impact towards the country’s rice production and ensuring food security in household but also to boost rice farmers’ incomes. Rice from the farm is basically sold on the local market. Studies have been made pointing to the fact that rice can be grown in every part of Uganda. The problem is in the knowledge gap among Ugandan farmers who largely grow bananas, cassava, potatoes and maize as well other staple foods. Mr Ssempijja is certain that if well focused on, rice can change lives of Ugandan farmers as they will produce for food security in their households as well as having enough left to sell and keep some money in the pockets. Doing so, according to Mr Ssempijja, Uganda will be moving closer to achieving Sustainable Development Goal number two (SDG2) which focuses on ending hunger, achieving food security and improving nutrition and promoting sustainable agriculture. He further asserts that growing rice will not only offer the country with an import substitution strategy but also earn Uganda foreign exchange from rice exports. Sun-drying harvested rice before processing. Rice whose production in Uganda started in the 1940s mainly to feed the World War II soldiers faced a number of constraints and production remained minimal until 1974 when farmers appealed to the then government for assistance. Currently rice is well liked and consumed by many Ugandans and it’s becoming a regular dish served in many families and slowly replacing a number of staple foods. According to statistics from the commodities market, Uganda produced 153 metric tonnes of milled rice in 2015 from 143 metric tonnes in 2014 while rice imports stood at 120 metric tonnes in 2016. “Local production has saved the country more than US$30 million that it would have spent importing rice,” a local newspaper reported. But there are challenges still which farmers believe if solved will see them getting more and better returns. “A lot of inputs are needed and most of them are expensive, we also need machinery. If we are to go into large scale farming then the government support is paramount,” Ms Nabukeera noted. Ms Nabukeera proposes that the government should come up with an affirmative action plan to support rice farmers just as it is doing for other interest groups. And in what might soothe Ms Nabukeera, the Agriculture minister says rice is among the top crops the government is prioritising and is planning to inject over US$80 million in the next five years in the several programmes including Agriculture Cluster Development Project, NAADS, among others. “With such programmes like the Agriculture Cluster Development Project the government will be offering 70 per cent of all needed inputs and the farmers will be braving the rest (30 per cent), this initiative is already under piloting,” he adds. In 2012 the Ministry of Agriculture came up with a national Rice Development Strategy (NRDS) which among other issues sought to make Uganda self-sufficient in rice production with a strategic target of increasing rice production from about 177,800 metric tonnes in 2008 to 680,000 metric tonnes of unmilled rice by 2018. NRDS was also to focus on improving of research, increasing production, improving on Irrigation and Water Management, support Policy Development and ensure environmental Conservation among other key strategies. Uganda also aligned its NRDS to the Coalition for Africa rice, a pan-African rice research organisation, which is mobilising stakeholders to support Africa to more than double rice production in Africa. 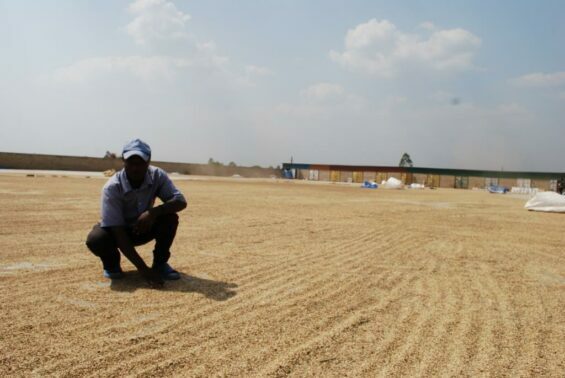 Over time, Africa rice has made broad policy recommendations geared towards boasting rice production in several African countries, Uganda included, which include increasing local production through both area expansion and production enhancement. If the said recommendations are put into consideration, Uganda can gain both in terms of income generation and decreased import dependency, from an increase in domestic rice production. Rice growing also has a potential to spur direct and indirect job opportunities both for the educated and uneducated population, says the Agriculture minister. For rice growing, the sectors need extension workers, farm managers, and informal farm workers among others. Taking the Zhong model, each acre requires over five workers on a daily basis who ensure that birds do not get close to the crop, among other works. Processed rice ready to be packed. Unlike other food stuffs which easily perish causing food waste, rice, however, can be stored for a long time. Mr Victor Mukasa, a farmer, says that in many circumstances most of their harvests, like Matooke, goes to waste in seasons of over production since it can hardly be preserved for long. 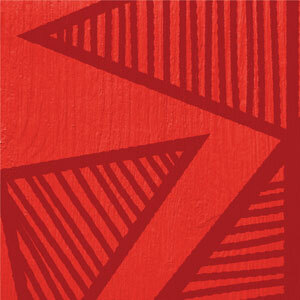 “After failing to preserve Matooke, it ripens and is thrown away. Ultimately, it is food and money wasted,” Mr Mukasa explains, saying with rice, one can keep it for a pretty long time. To him, rice also comes in handy during times of scarcity. Like during the drought that Kalungu district and many other areas of Uganda when government had to procure rice from china to donate to hunger-stricken victims. Mr Gan also observes that rice plays an important role in long term food storage plans unlike many other foods grown in Uganda. 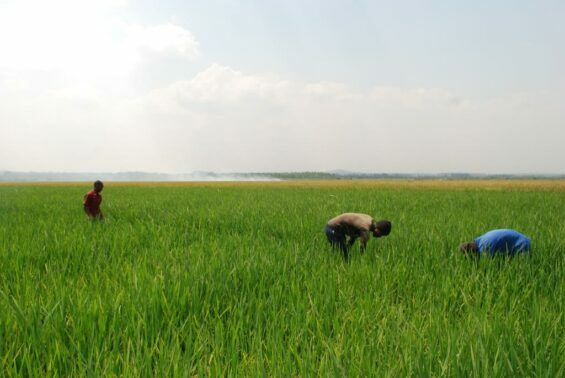 Although Lukaya rice farms come with a host of benefits, as earlier noted, there is fear among residents that rice growing in Lwera and other wetlands may end up degrading the areas. Several environmentalists have since shared similar concerns urging that it could be better if government thinks about promoting rice varieties that can grow outside swampy areas. 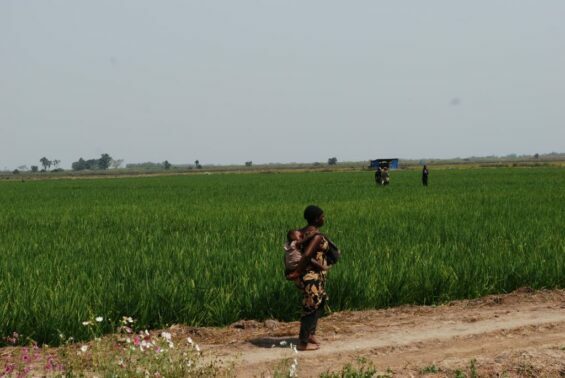 Mr David Kureeba, the programmes officer at environment watchdog, the National Association of Professional Environmentalists (Nape), says that growing rice in wetlands might threaten the ecosystems found in those places. “Much as we badly need food security and incomes to our households, it should not be at the cost of our wetlands,” Mr Kureeba said and urged the government to promote upland rice varieties. However, Mr Mpinga notes that before establishing such a project an environment impart assessment report must be done. This work was produced as a result of a grant provided by the Africa-China Reporting Project managed by the Journalism Department of the University of Witwatersrand.